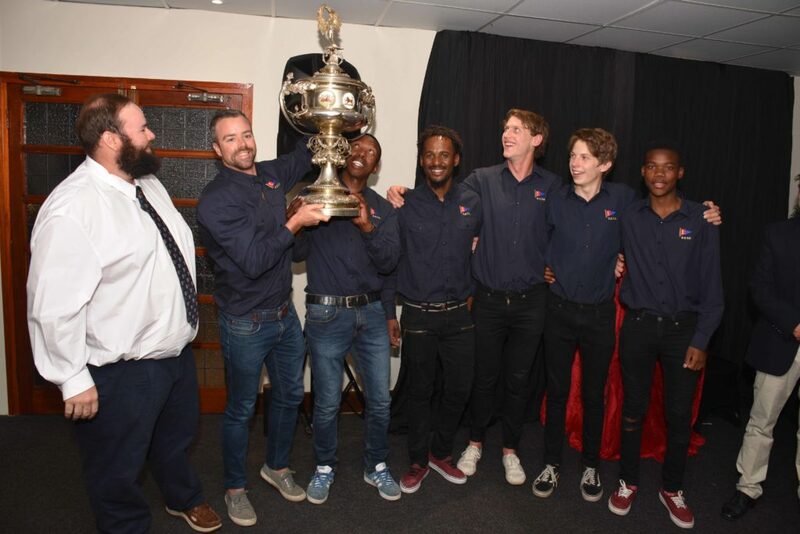 The Royal Cape Yacht Club Team with Roger Hudson and Asenathi Jim holding the trophy. L-R. William Crockett; Roger Hudson; Asenathi Jim; Joweal Klaase; Alex Burger; Benji Daniel & Rivaldo Arendse. The month in which the Lipton Cup is sailed always highlights some interesting characters and even more important, some incredible performances. It’s hardly surprising then that Roger Hudson is the one to be singled out as he skippered the RCYC team to a Lipton victory on ‘foreign’ waters by winning 4 of the 5 races. While this was an emphatic win, it simply does not tell the whole story. Hudson is the kind of sailor who takes nothing at face value, asking questions, evaluating and most importantly of all by selecting top crew who are happy to put time and effort into the campaign on the water where it all counts. 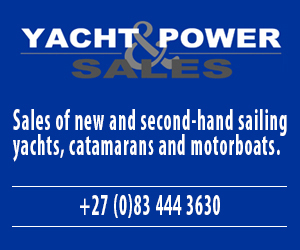 His crew prepared their boat well, spent time in Cape Town training, testing sails and sail configurations, and ultimately honing their on-board manoeuvres to perfection. This was the slickest team on the water. What few realised is that they played the starts safely knowing that an OCS would immediately put them out of the running, so they hung back, positioned themselves well, and proceeded to sail through the fleet on the first leg to be handily placed in the top 3 at the weather mark in every race, from where they would pull ahead – winning 4 races back-to-back. Finally, they gave a masterclass of a performance in light wind sailing in the final race when they led the fleet by some 6 minutes at one stage. Hudson was the mastermind of this campaign and its victory, which is why he has been singled out for this award. 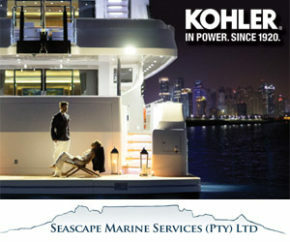 But he was backed-up my the incredibly talented crew of Asenathi Jim (helmsman); Joweal Klaase; Alex Burger; Rivaldo Arendse and Benji Daniel, with William Crockett as Manager.